We seldom mention stocks on TV. 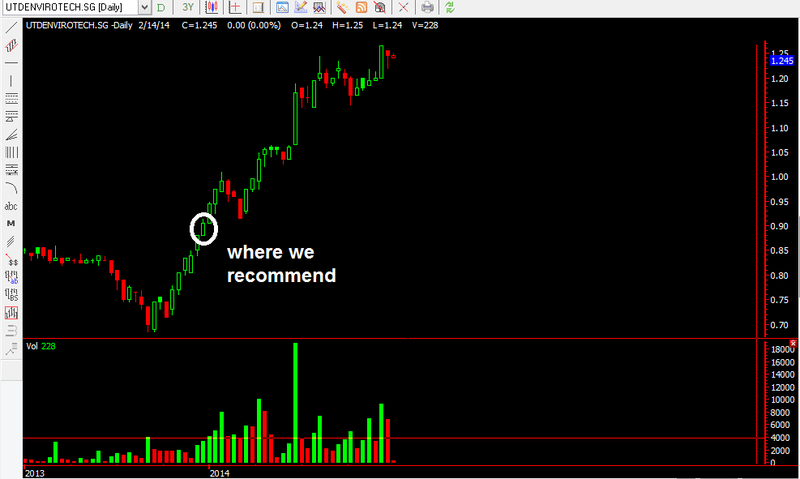 But there is one stock we recommended all to watch when we were interviewed at the start of the year. That stock is UtdEnvirotech. Below is a summary of my answers to the host's questions. At that time of the interview, the stock is at $0.88. We mentioned all to watch this environmental stock because of one thing, CHINA. We think that environment is getting from bad to worse in china and the government promise to beautify the environment should provide a strong boost to the environmental industry. One such stock is UtdEnvirotech. So far, this stock has not disappointed us. It is now $1.25! Now our stand is to take profits! We think that there might be a resistance at $1.30. We urge all to stay at the sidelines for this stock now, and hopefully wait for it to consolidate. At least for two weeks. A stock without consolidation is dangerous. After it touch $1.30, consolidate for a while, then you may go in after breaking $1.30 the second time! Either that, or I will look for $1.00-$1.10 to scoup up this stock deliciously if it does reach. To sum it up, do not rush in to buy this stock now. Patience is needed no matter how good the environmental sector is now.